It has been written in some websites that Casimero Cardenas founded Cedral. Not true. 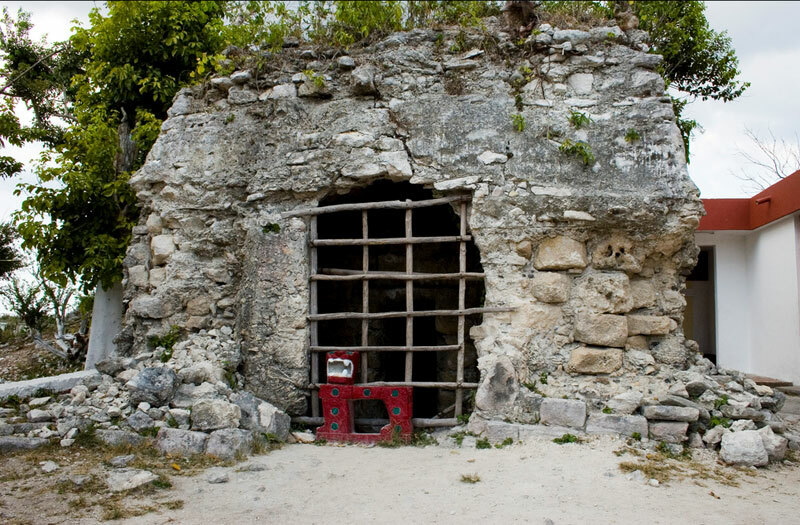 Cedral was a center of population on Cozumel ever since prehispanic times. 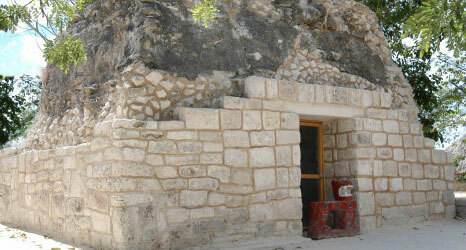 During the Colonial period, there were more people living in Cedral than there were in Xamancab (today’s San Miguel). 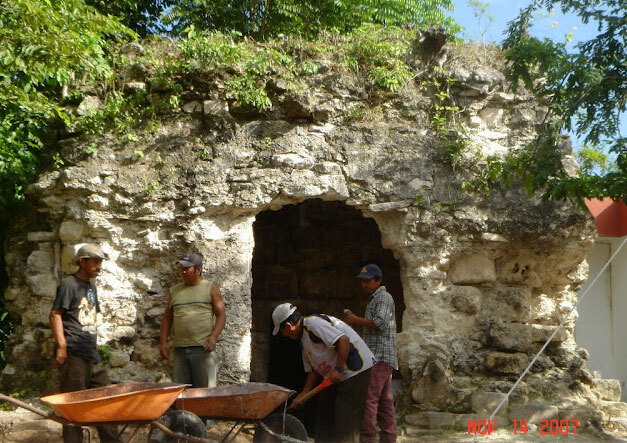 Later, woodcutters from Belize had dwellings there. Casimiro, on the other hand, first settled in San Miguel. He and his wife show up on the 1850 census of the town of San Miguel, a census which did not include residents of Cedral or the outlying ranchos. Casimiro didn’t move out to Cedral until after 1850. 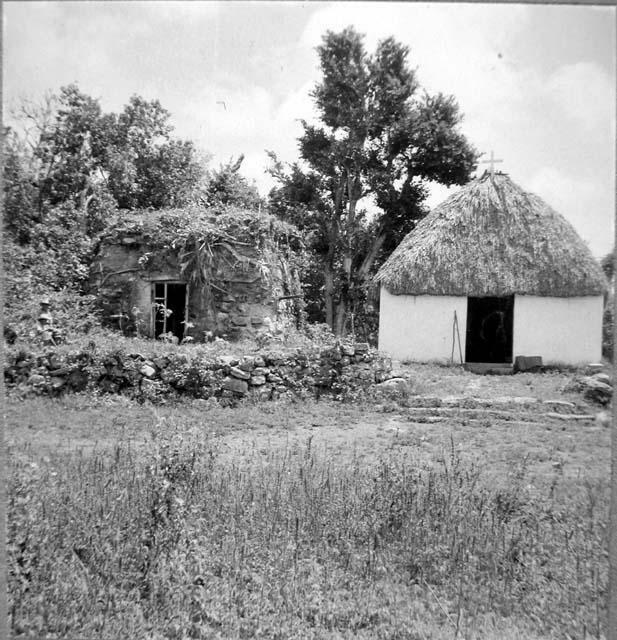 It shows the church, which was originally closer to the other dwelling in the village, but was abandoned and then rebuilt next to the ruined Maya building, where a newer version of it stands today. 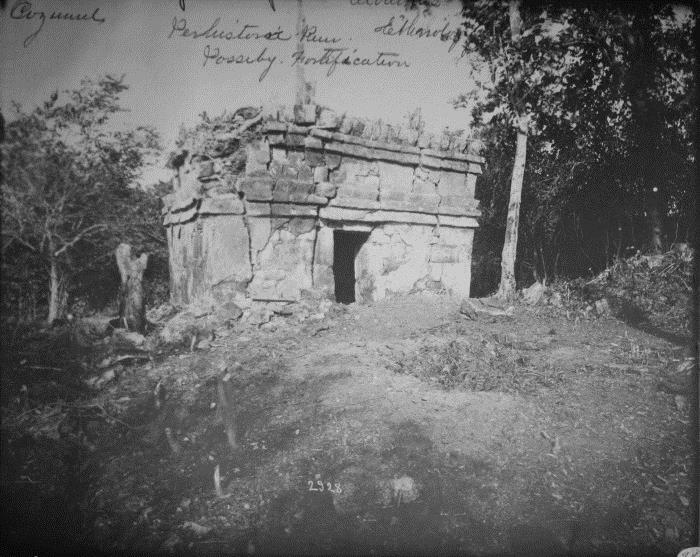 Above is an 1885 photo of the ruin in Cedral before the stones were stripped from its exterior veneer to use as building material and before the church was built next door to it. 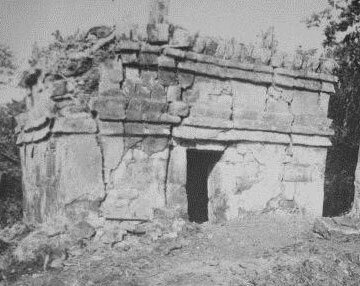 Below is a photo taken by the Edward Herbert Thompson (the man who once owned Chichen Itzá) in 1923, showing the door that had been installed in the ruins entryway. 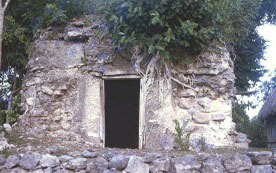 Above is a photo of the Cedral ruin in taken in 1965. 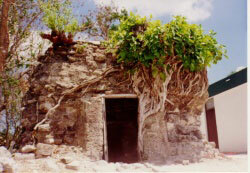 Above, the ruin as it appeared in the 1970s. And the result was anything but similar to the original! Below are the before-and-after photos, side by side.